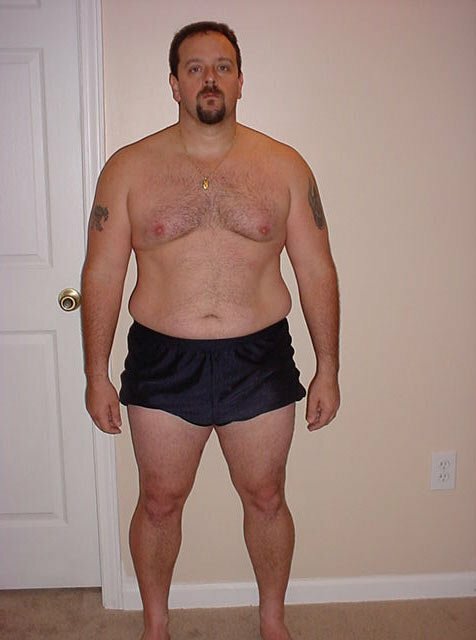 Over 40 Transformation Of The Week - Scott McCullock! Pushing 40-years old, Scott returned from a routine doctor's visit with a laundry list of health concerns. Not content on living his life taking multiple medications a day, he decided to do something about his weight. 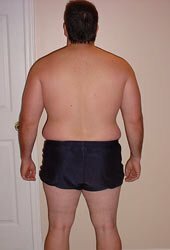 Learn how he shed 98 pounds! In my late teens to early 20s I had a great love for bodybuilding; in fact I had dreams of taking it seriously as a career. Things in life had taken a change for me within my family and I had to move across the country. One thing led to another, time passed, marriage, kids, mortgage, work, life, all blinded me for 20-plus years. Over the years I realized I was becoming more and more un-happy with my life and stopped appreciating some of the things I had. I surrounded myself with food and plenty of it. Back in my mind I knew I was slowly killing myself, but for the moment, while I would indulge in all the high fat foods which gave me comfort, I felt safe and in control. Food was a drug of my choice and it controlled me in every way, the more poor choices I made the more I would stay away from any physical activity possible. As I came closer to my 40th birthday I decided to go and get a mid-life physical from my doctor. I thought would go in, come out and move on. It Controlled Me In Every Way. Instead I came out with a long list of terrifying health conditions, high blood pressure, hypertension, sleeping disorder, and to top it off I was classified as obese! The doctor gave me a prescription for every symptom I had, including wanting to put me on weight management medication and consultation classes. I walked out of the doctors office completely depressed, I was going to be 40-years old in less than a year and I felt depressed more than ever. The trip to the doctor had waken me up, I finally seen what everyone else had seen for years. How did I end up this way, what did I do to myself, and how could I reverse this, where all questions going through my mind. I was one that did not like to take medications so to be prescribed 4 medications all at once really had me scared. I had to "Make a Change for Life," I wanted to see my kids grow up, I wanted to spend quality time with my wife, and I did not want my time here on earth to be cut short from things I could have controlled. These are the things that forced me to make changes in my life and what better way to do it though bodybuilding and fitness! Cut Short From Things I Could Have Controlled. Since I had a passion for bodybuilding 20 years earlier I knew what I had to do, I just needed to get support and a plan. My family backed me up 100% and all committed to help me follow this through to the end. 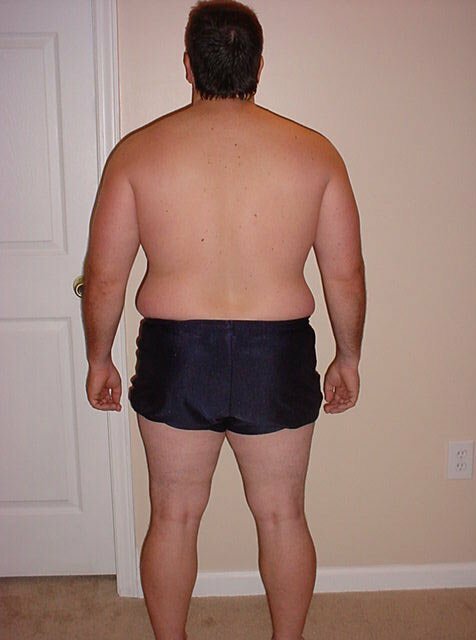 My beginning body stats I weigh in at 255 pounds, 40% body fat and stood just shy of 5-foot-7. I had a 42-inch waist and wore a 2XL shirt. I pulled out all of my old books, tracking notebooks that I had used back 20 years earlier when I was bodybuilding and dreaming of one day competing. I worked on setting my diet up and boy was this one of the hardest thing I ever had to do in my life, but I stuck with it. For me I would set my menu for and entire week, this way I would not have to put much thought into my meals during the week and simply just eat on time. This helped me focus on my workouts and to stay motivated through all the pain a human body goes through after sitting around for 20 years. Needed To Get Support And A Plan. I set my sights on monthly goals, and I would not look back until each month ended. I would take new measurement each month and my results would keep my motivated. I tracked and wrote down everything I ate, I believe nutrition is 80% of any transformation. My first 90 days I lost 40 pounds! I knew I had to go farther and now I was thinking of how far I could take this. I started thinking about getting into good enough shape were I could fill a dream of mine by competing in a Natural Bodybuilding competition at 40-plus-years old. So I looked around and found an amateur competition that fit me, paid my entry and got to work. On March 22, 2009 at the age of 41-years old I finally fulfilled a young man&apos;s dream. I now weigh in at 157 pounds, 5% body fat, and a 29-inch waist! Total weight loss of 98 pounds, dropped 35% body fat and 13 inches off my waist! I went from a steady 165/100 blood pressure level to a present steady 115/78, sleep like a baby, depression gone, hyper-tension gone and I am glad to say I am no longer classified as obese! I have gained my life back through fitness and bodybuilding. I have fallen back in love with my most favorite sport and have more plans to take it to the next level. 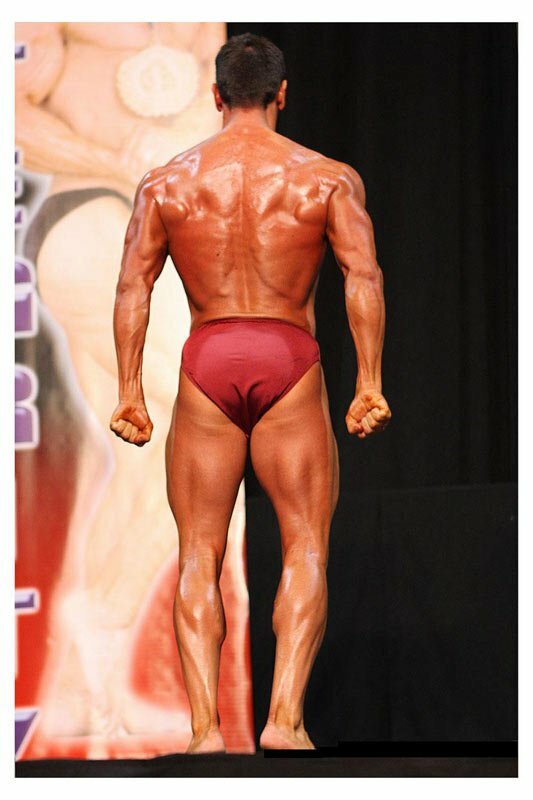 I placed 4th in the novice division, 5th in the open and I have plans on competing in another one the end of this year, 2009. I have my sights on taking my bodybuilding dreams as far as I can go and I see no end in sight. 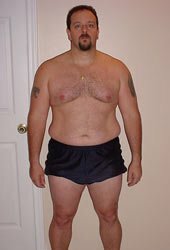 I used P90X to loose body fat and get fit. Failure - That point in an exercise at which you have so fully fatigued your working muscles that they can no longer complete an additional repetition of a movement with strict biomechanics. Click Here For A Printable Log Of Monday: Chest & Biceps. Click Here For A Printable Log Of Thursday: Back & Abs. Click Here For A Printable Log Of Friday: Shoulders & Triceps. To anyone out there that is looking for the magic pill or, those looking for the "Fountain of Youth," you can get these through fitness. It can be done with hard work and dedication to yourself. I encourage everyone that is fighting some sort of health issue to seek help through fitness and proper nutrition. Go out there and get it, make a change for life, you owe it to yourself!